Our rope can be found on the rigging on The Gannet here at the Historic Dockyard Chatham. 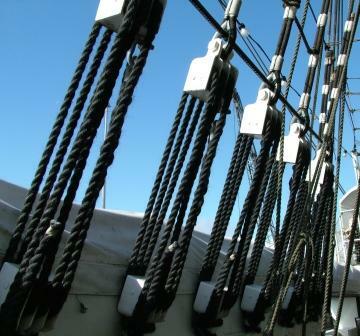 We also produced all of the rope for the rigging on the Black Pearl. HMS Victory which was built here at The Historic Dockyard is our most famous Tall Ship Customer.